We at Witchdoctor have written a tonne about the decline of broadcast TV content. While Freeview and Sky seem to consist of endless heavily advert laden ancient repeats, consumers are flocking to a range of fresh new streamed content from the likes of Lightbox, Neon, Quickflix and, of course, Netflix. So, just how are people enjoying and consuming this plethora of streamed content? While many are investing in shiny new smart TVs with built-in apps for these streaming services, others are adding a Chromecast or a set-top box to existing TVs. Going down the set-top box route can be a good option if you don’t have a few thousand dollars to drop on a smart TV or are the proud owner of a non-smart TV that still works fine. There are many set-top options. You could, for instance, use a micro form factor PC like Intel’s NUC or compute stick. This handily gives you access to YouTube and a tonne of other content, but getting it set up, choosing a reliable user interface (Kodi is the most popular go-to) and keeping things running smoothly requires constant work. An easier option is the Alfawise TV Box. Powered by Android, it uses an Amlogic S905W quad-core Cortex-A53 CPU which means it can render HD/4K video content effortlessly. Being Android-based also means It has a big library of apps. I use Kodi for viewing content, there’s also no shortage of excellent Android games. It isn’t just TV shows and movies. I also use it to transform my TV into an XXXL-sized digital photo frame, and it also does a sterling job of pumping music through my home theatre system. 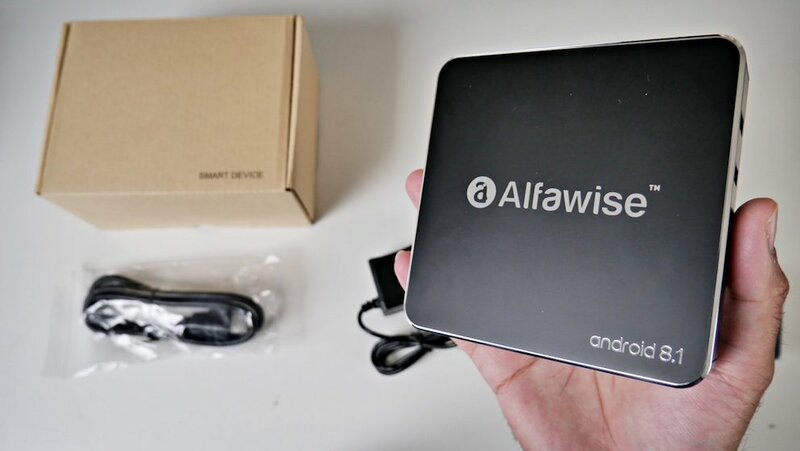 The best part of the Alfawise TV Box is its ultra-reasonable sticker price – just $61 shipped directly from Gearbest.com. The Alfawise box makes my first gen Apple TV look big. This is a good thing, as it all but disappears when placed next to my TV. I was also pleasantly surprised to note that even though I’d only $61 for it, that It wasn’t crafted out of Tupperware, but had an alloy chassis. TV connectivity was via HDMI, and it hooked into my homes wireless network with next to no fuss (Ethernet is also available). This handily meant that cable clutter was kept to a minimum, consisting of two cables (HDMI and power) or three if you decide to go wired. The Alfawise box comes with a bunch of pre-installed applications including YouTube and Netflix. Although Its user interface is functional, it isn’t pretty. This was quickly resolved by installing the Android version of Kodi. Getting connected was reasonably straightforward, although I was disappointed to note that it only supported 2.4Ghz Wi-Fi. Once connected, it performed flawlessly. Content streamed smoothly over 802.11 b/g/n. DLNA and Miracast are also supported so you can squirt content from a smartphone to your TV. 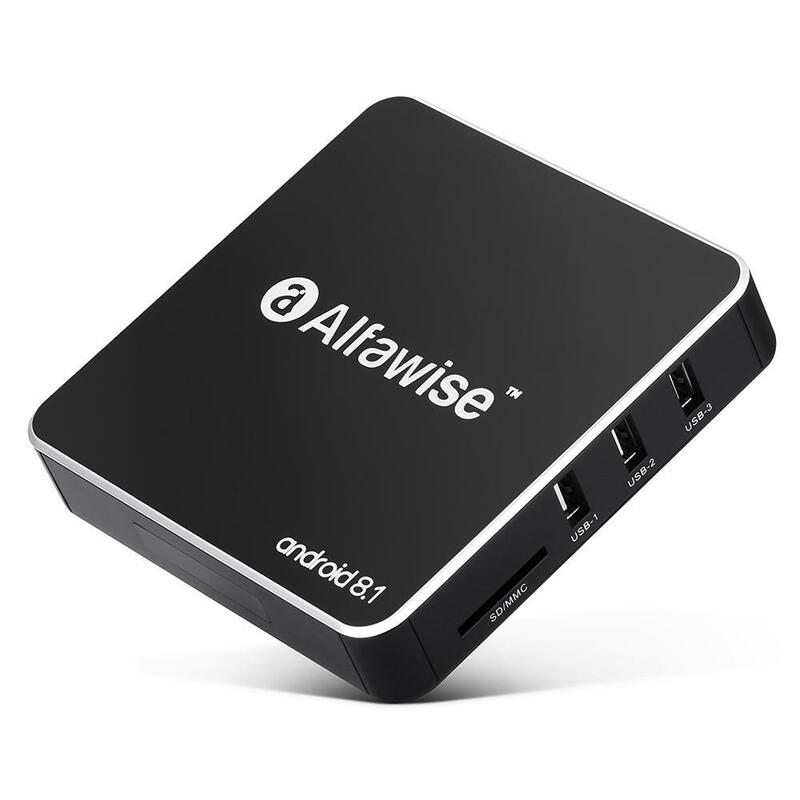 While the supplied remote won’t win any design awards, the Alfawise box can connect to a wireless keyboard and mouse plus it’ll also work with some USB webcams too. If you’re looking for a simple low fuss way to add smarts to a not-so-clever TV, and don’t have a ton of money to spend, the Alfawise from gearbest is a worthy contender. 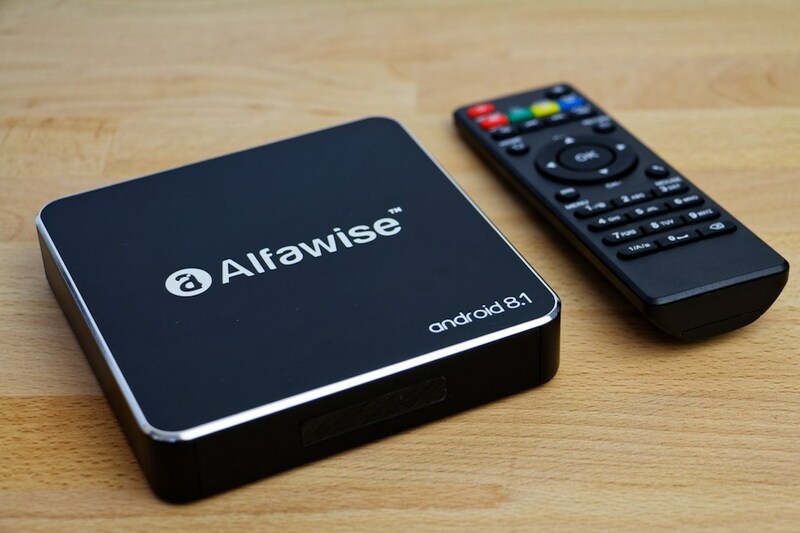 You can get more information on the Alfwise TV box here.